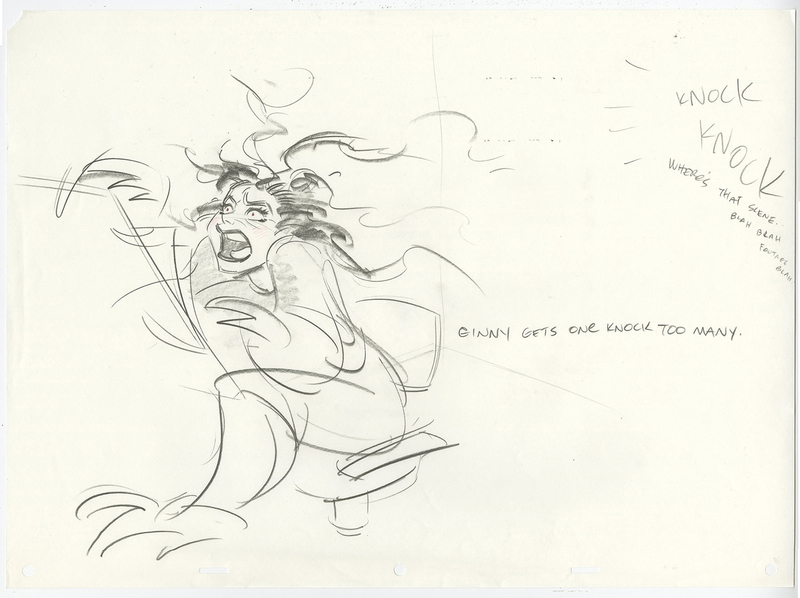 This is an original Animator's Gag Drawing created at the Walt Disney Studios. 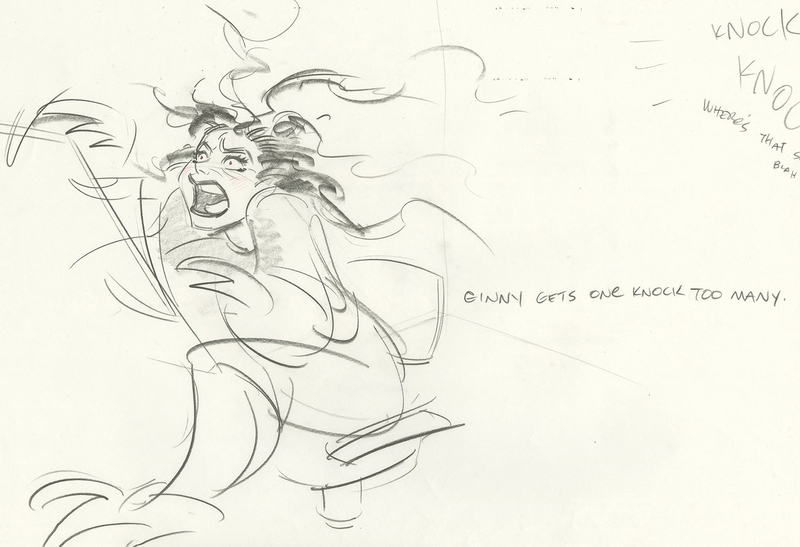 This Animator's Gag Drawing features Ginny Parmele losing her mind after being asked to help another animator one too many times, and was created at the studio. It is common for animators to create gag drawings to break the monotony of everyday animation, and this one was likely done as a sign of gratitue towards Parmele, for her efforts assisting other animators. The overall measurements of the piece are 12.5" x 17" and the image itself measures 9.5" x 9".